Although the bulk of the adrenal medulla consists of medullary cells which secrete either epinephrine or norepinephrine, the presence of vascular sinusoids and supporting connective tissue contributes to a confusing texture. 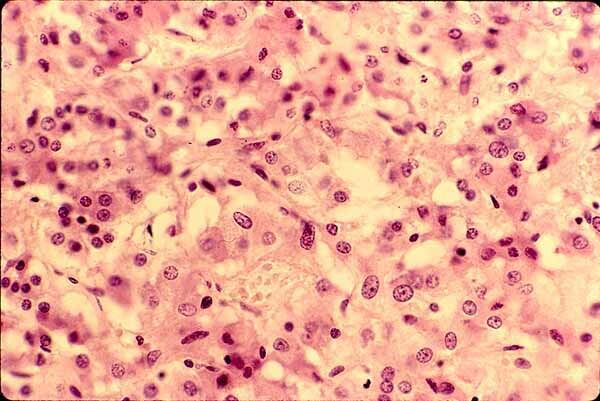 Nuclei of medullary cells are relatively large and oval, with some variability in size and shape. Cytoplasm of medullary cells tends to be more basophilic than that of cortical cells.